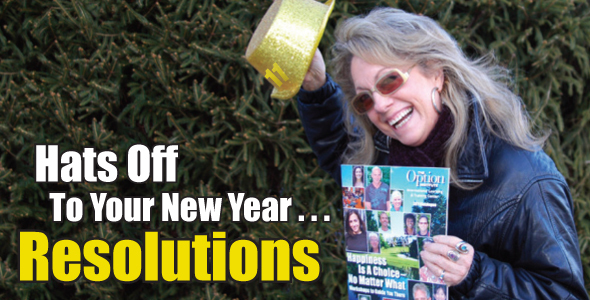 The Option Institute Blog: Samahria's favorite resolutions for 2011...and always! Samahria's favorite resolutions for 2011...and always! SAMAHRIA'S FAVORITE RESOLUTIONS FOR 2011 … AND ALWAYS! Gift myself with a loving feeling before I've achieved what I want (instead of waiting till the end or till I think I'm successful). Make every thought into a benefit for myself (e.g. "Ouch! I just cut my finger, and I can use this as an opportunity to be present while I'm cutting … and all the time." OR "Oh, I didn't get what I wanted here. There must be something even better for me in the wings." OR "This person doesn't want to be a friend of mine. Glad to know that, so I can find people to be around that appreciate me." Verbalize my thoughts and opinions with love, (and without fear of others' judgments). Do and give from a place of knowing that it's what I want to do – for myself! See the "funny" in everything (and grow my laughter power). Be open to seeing all of me – because every part is good and there to help me. I am always being supported by the Universe. I just have to trust it. This is a practice and dedication to feeling good about myself and to feeling loving of others, no matter what they do. This is how I want to live and breathe. I may go to other places in myself at times, but I'm allowed, and that doesn't mean bad things about me. My mantra will remain: "Nothing is more important than my happiness! ", which leads to loving. Thank you Samahria! This list of 'Resolutions' is a great reminder of how and who I want to be in the world. Samahria I love the way all your resolutions are gifts to yourself, waiting to be enjoyed. I always thought New Year Resolutions were all about "Must do's".I like your style lady and I'm going to try it myself; even though my canny Scottish reticence can't match your bubbling American confidence: seems like you're laughing from up on top of the hill that I want to climb ! Happy 2011 and thanks again for showing me what should be. To me non-interference is to live what's in my heart, and not hold myself back, whether it means to hug a stranger or to tell my boss that he's wrong: it's simply being, doing what's true to me. - do not be intimidated by anyone (which is pretty hard to be if you are already living in non-interference). And then I'll spend more time in feminine energy - I will never forget the Exceptional Woman Programe. Yes, yes and triple - quadruple yes! To each and every one of your resolutions! I have copied and printed them as reminders. I love and resonate with the whole idea of loving myself first and foremost which naturally leads to expanding my love to the rest of the world. Thank you for articulating these ideas and for giving me a new definition of resolutions. I love taking away the pressure of have tos which lead to feelings of failure. What a wonderful place to start this incredible new year 2011 - every day and every step along the way!